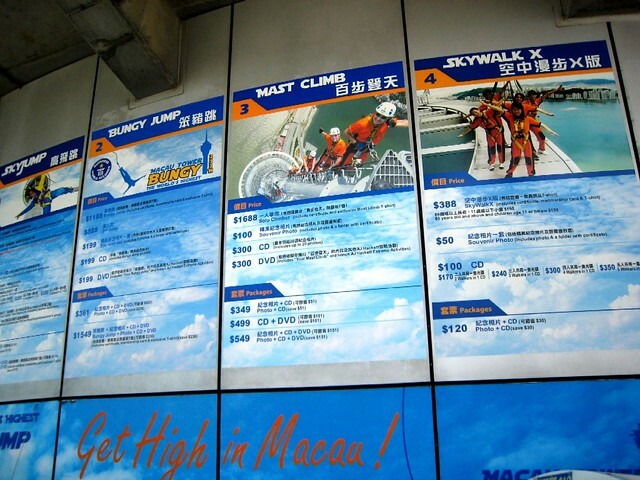 One of the most memorable experiences I had in my Macau trip in 2008 was my adventure in the Macau Tower, where I got to experience the Skyjump. 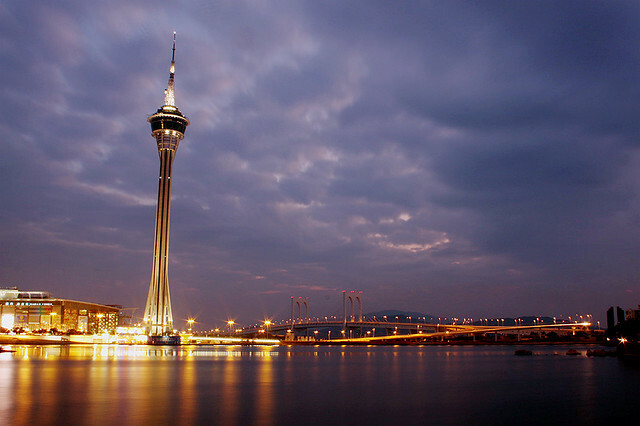 The Macau Tower at night. 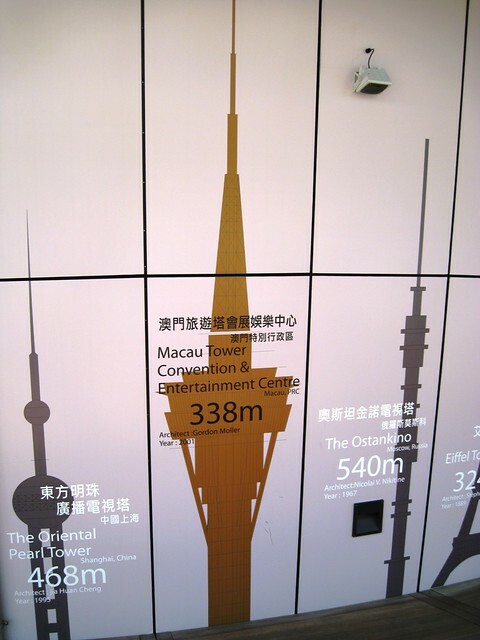 The Macau Tower Convention and Entertainment Centre is one of the world’s tallest towers. 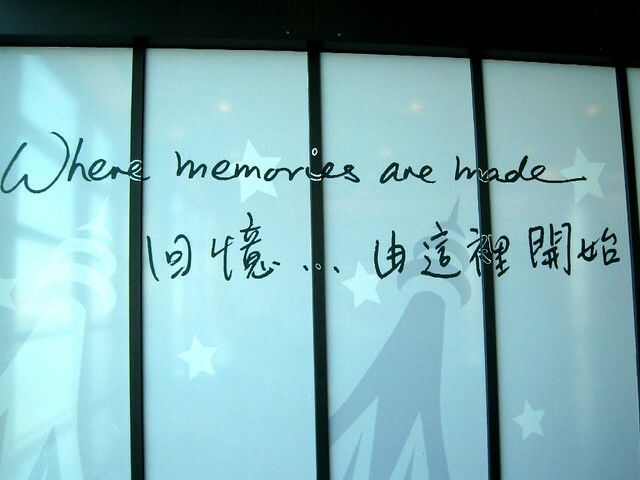 The lower floors have museums, shops, restaurants, and cinemas. 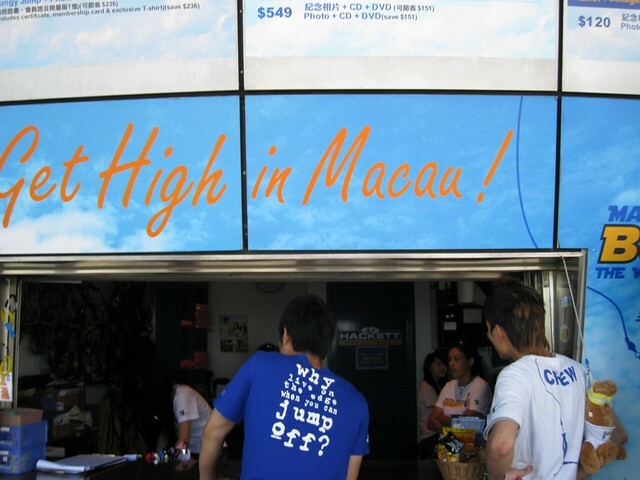 We took a super high speed elevator up and it was only when we got there that I REALLY and TRULY got the idea of just how HIGH it was. 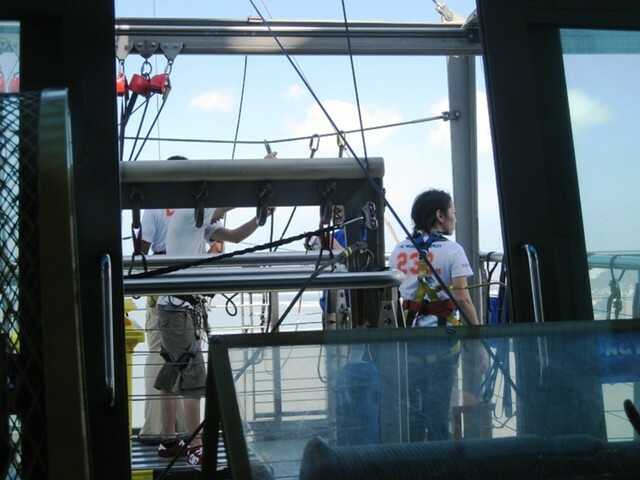 I wanted to try bungy jumping but good thing I didn’t because I what I did was the Skyjump and I thought I won’t be able to go through with the jump! 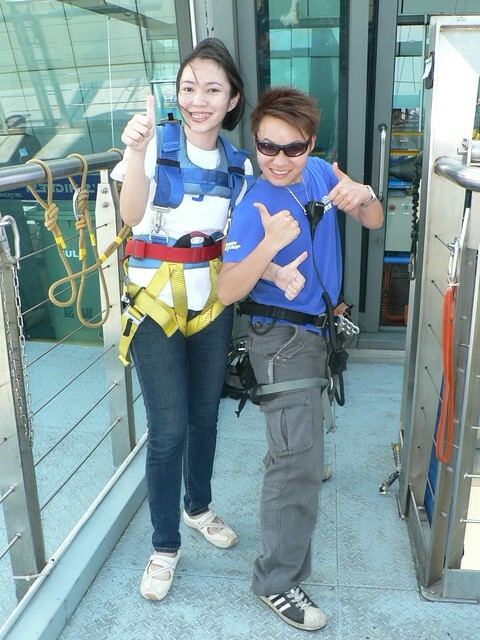 I chose the Full Package Skyjump (it was MOP700 then and now it’s a whopping MOP2388 or US$306), which includes a T-shirt, certificate, membership card, a video of the jump on DVD, photo CD or 2 printed photos. 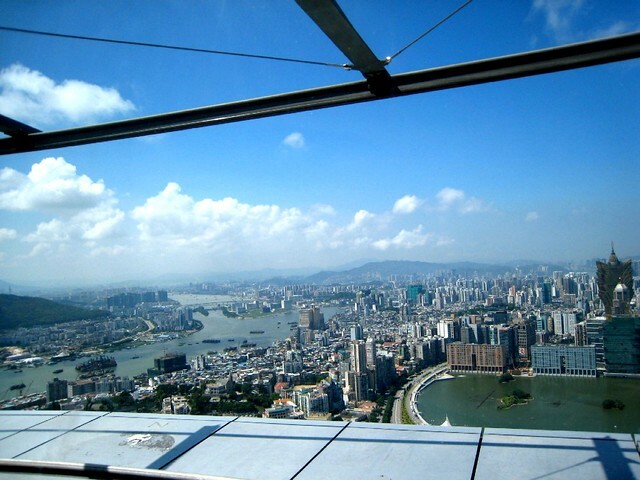 Jump from the outer rim of the Macau Tower, 233m 764ft above ground. Enjoy a 17-second flight while reaching a speed of nearly 75 km/hr! 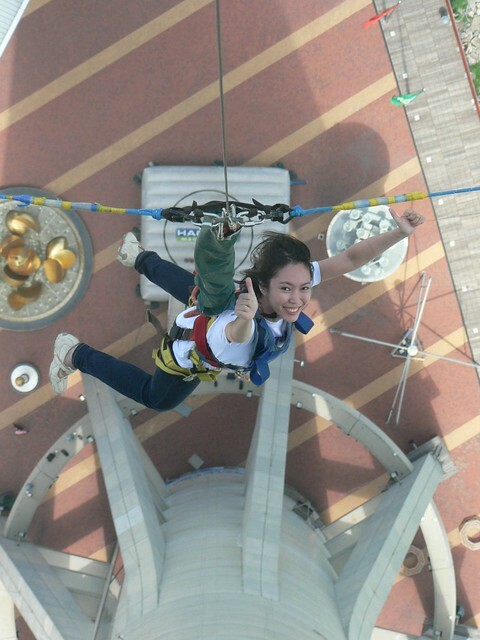 Skyjump has been designed to give you the jumper a feeling of flying. 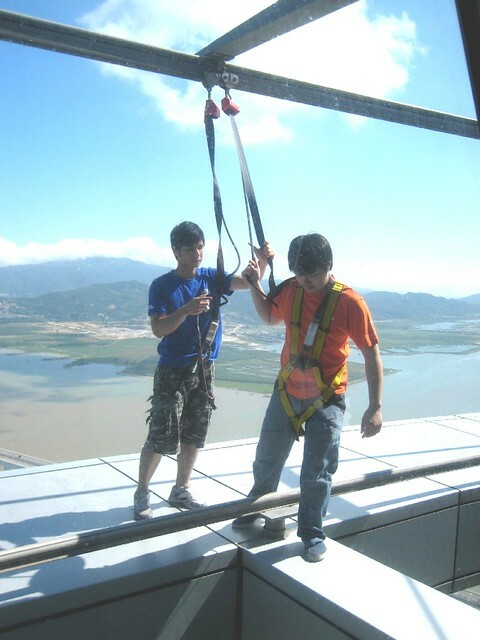 As you leave the platform from above you quickly reach 75 km/hr and then descend all the way to the ground where 10 meters above the ground you slow, and land feet first. 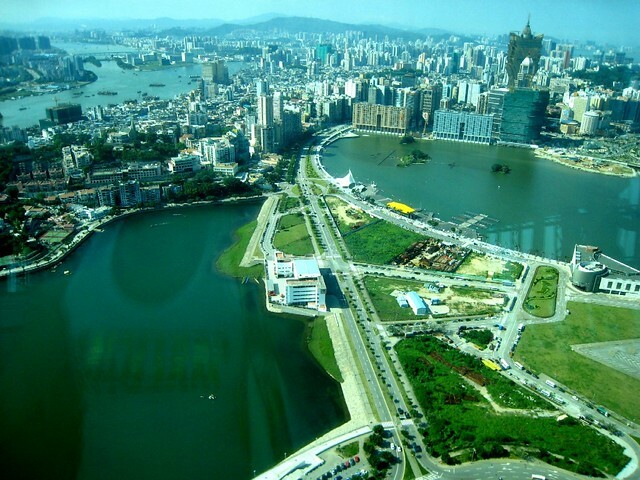 There is no rebound at all, it is a super quick, electrifying trip from high above, to the ground. This technology has been used by many stunt men and Hollywood movies such as James Bond. 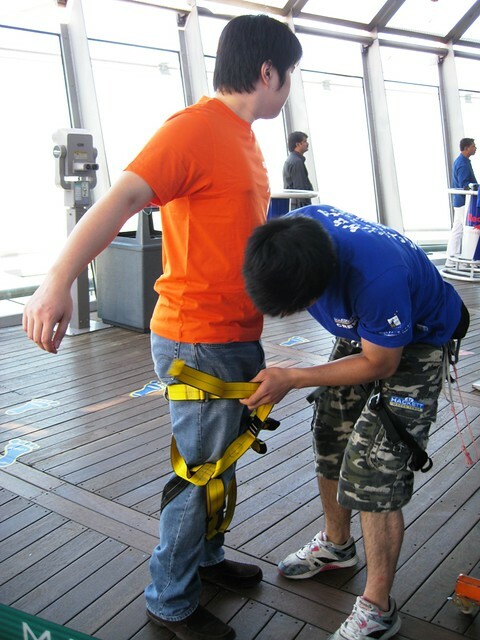 Skyjunp also allows people to descend from the tower feet first and as a tandem option.Skyjump is fun for all ages. After paying and registering, they led me to a locker room where I placed my bag, changed into the shirt (which they require) and removed all my jewelry. 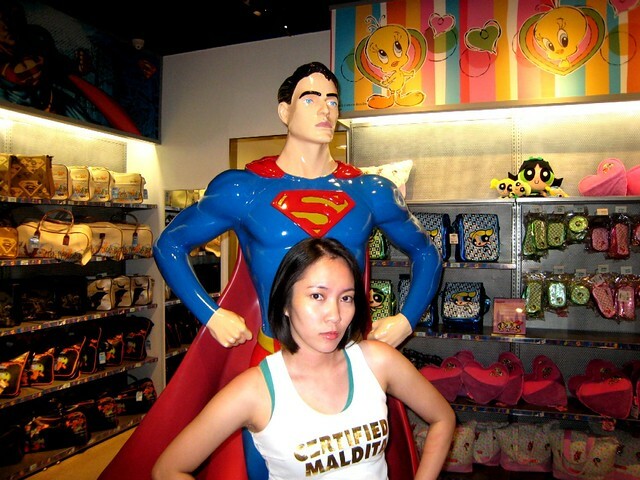 Since the jump was part of our itinerary, I came prepared and was wearing sneakers. If you’re wearing sandals or slippers, they do have sneakers for rent. 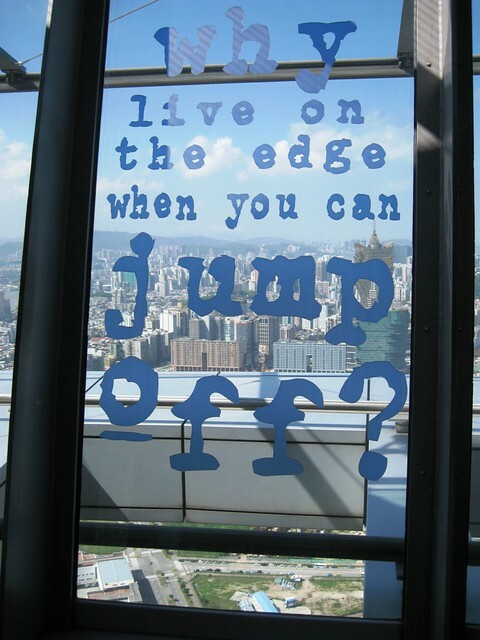 Now, for the jump. These pictures that were taken of me before the jump show how worried I was. 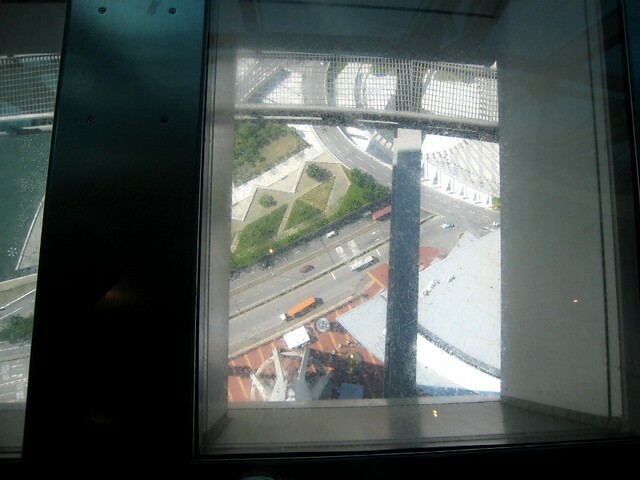 It was really high and when I got outside where I could already feel the wind, I think that’s when I really got scared. And that’s when it hit me—WHY AM I DOING THIS AGAIN??? And what added to my near-panic was that the crew members doing my harness and facilitating the jump looked extremely young—like teenager young (complete with loud party music blaring from their speakers! 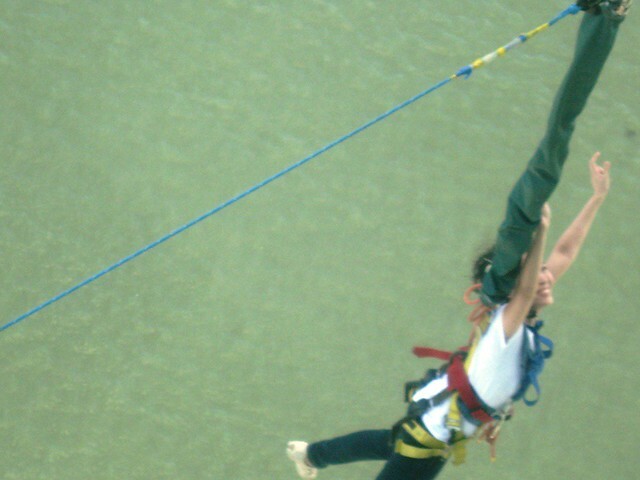 ), and I didn’t feel quite confident practically entrusting my life to kids! 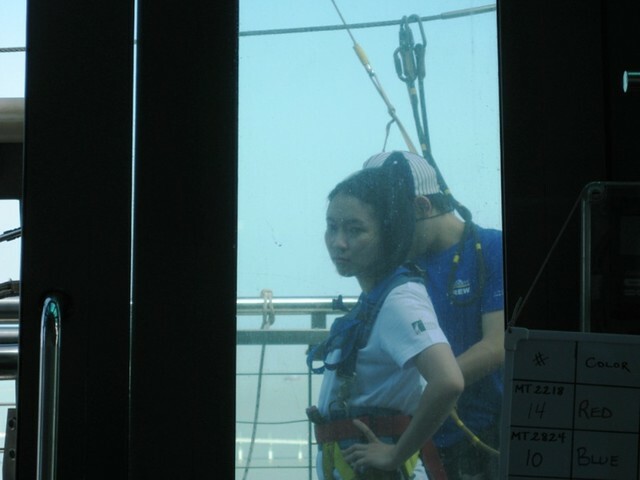 Worry all over my face before my jumping off the tower. And look at how chillax the staff looked! —And that feeling of falling was an instant high. THERE IS NO OTHER FEELING LIKE IT. About 1/4 of the way down, they stopped the machine for a photo op in mid-air. And thank God, because for me, posing for those two shots really calmed me down and after that, I just enjoyed the experience! 🙂 To this day it’s still one of the most memorable experiences of my life. A giant air trampoline was waiting at the base. Then I went back up the tower since my travel companion was going to do the the Skywalk X, an adventure of walking along the rim of the tower. 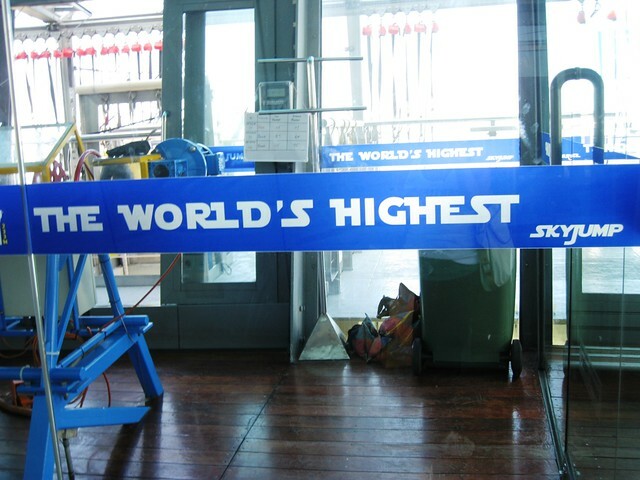 For me, the Skywalk X was not as thrilling as the Skyjump but you still have to brave vertigo and the fear of falling through the “cracks” in the rim. And some parts were really narrow and even if you’re harnessed to the tower, that still won’t take away the fear of falling off! You will be followed around by a guide who will tell you to take certain poses along the rim and take your pictures. 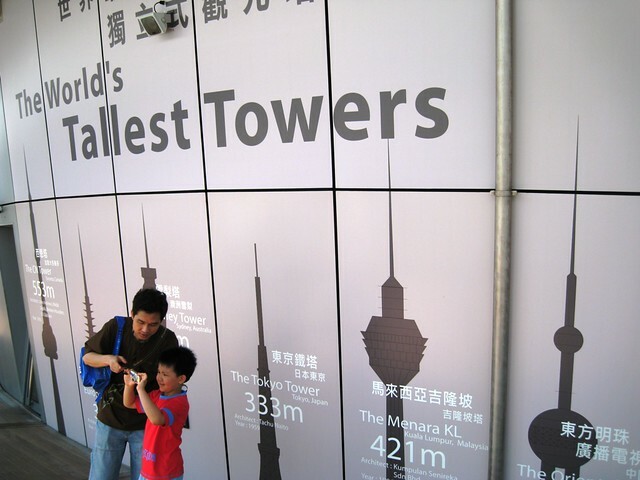 If you’re someone who’s afraid of heights, this is really quite scary. 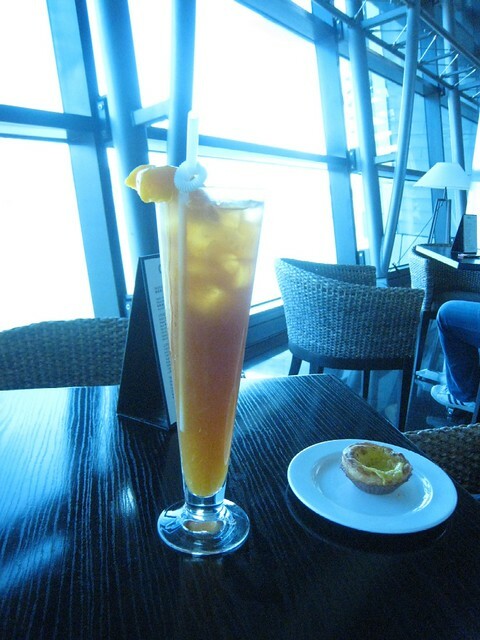 After AJ Hackett, we went down and explored the shops, cooled off with some iced tea and egg tart at the Cafe on Four, and relished our thrilling adventures.